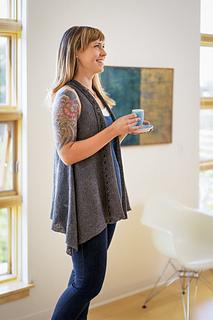 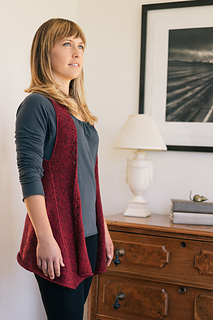 A vest with three different silhouettes to choose from, ranging from classic to more dramatic. 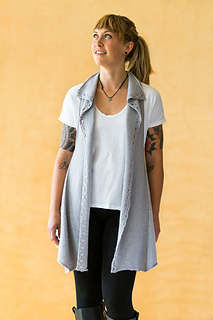 Alar is as flexible as your wardrobe: wear it over a button-down, throw it on with a t-shirt and jeans, or complement a simple dress with ease. 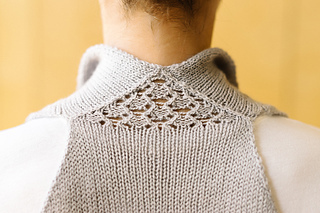 Back is knit flat from the bottom up, with markers placed to indicate armholes. 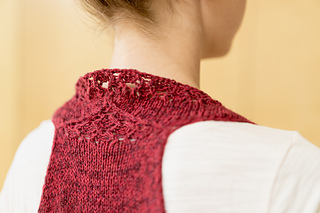 After knitting the back, pick up stitches along each side to create fronts, casting on stitches at marked points to create armholes.